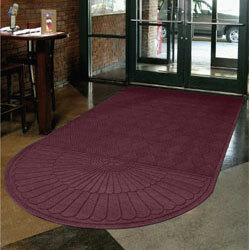 These maroon anti-static floor mats feature a rubber bottom layer that makes them slip resistant (certified by the National Floor Safety Institute). 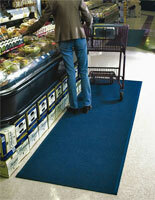 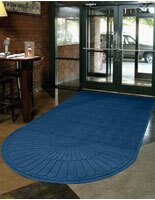 The carpets make great door rugs for offices, schools, department stores, and other high traffic areas. 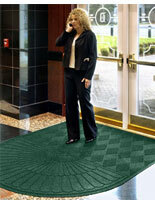 In addition, the anti-static floor mats can absorb dirt, mud and water, keeping flooring clean. 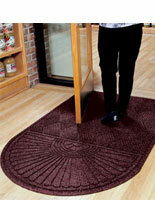 The door rugs are easy to clean with a vacuum cleaner or hose.